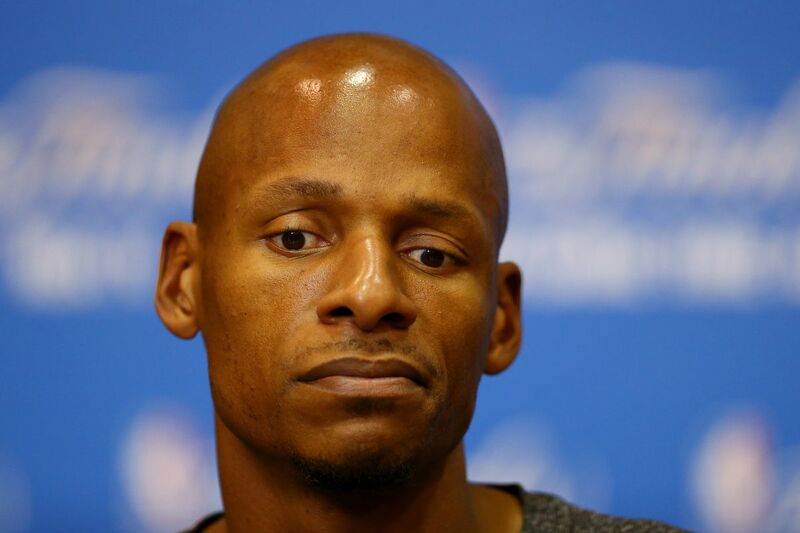 Ray Allen claims he's been "catfished"
ORLANDO, Fla. -- Retired NBA star Ray Allen believes he is a victim of "catfishing," and has asked a court to throw out a case where he is accused of stalking someone he met online. "Coleman pretended to be a number of attractive women interested in Ray Allen," read the motion that attorney David Oscar Markus filed on Allen's behalf. "Ray believed he was speaking with these women and communicated with them." The story goes on to include that Allen and Coleman had reached an agreement before the situation reached the courts to stop communications between them and keep things private, but alas it seems Coleman went to court and blew the whole thing up yesterday, forcing Allen to respond with his emergency motion earlier this morning. WILD stuff. It seems like this guy Coleman tried pulling one from the Michael Scott school of thought - alert the press and you control the story. I have a hard time believing that Allen is stalking some random guy who catfished him but who knows at this point. The more we find out about Ray the stranger he seems. Let's also not forget this isn't the first time Ray got busted canoodling around on the internet for women. A few years back his Twitter fingers slipped and hit Tweet instead of sending a DM to a potential lady friend, which got totally blown up before he had chance to delete it. Apparently Ray didn't learn his lesson the first time and ended up catfished down a rabbit-hole to a guy who was imitating multiple women. Not a great look Ray.